As an Aura Mediator™/therapist you are able to receive discount from our publishing company Good Adventures Publishing if you buy at least five books at the time of the same title. All material from www.auratransformation.com, .eu and .co.uk is under the Danish law of copyright. All others who wish to make use of the illustrations are required prior to get a written approval by Anni or Carsten Sennov. 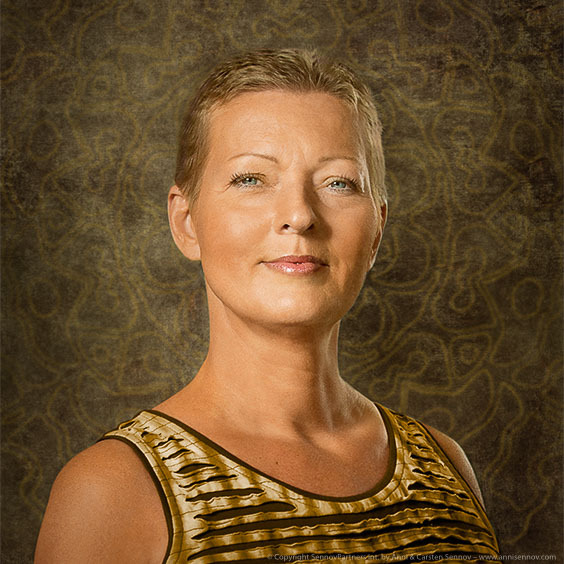 Anni Sennov is the founder of AuraTransformation™ and of the Aura Mediator Courses™ that are being held in different countries around the world. Furthermore, she is a clairvoyant advisor, international lecturer and the author of more than 30 books about spiritual energy and consciousness, of which several books have been translated from Danish into a number of languages. AuraTransformation™ – Upgrading your operating system in 4 hours! Download leaflet introducing AuraTransformation™ (US Letter format). Download leaflet introducing AuraTransformation™ (UK A4 size). Download a free excerpt from Anni Sennov's book "Balance on All Levels with the Crystal and Indigo Energies".